Stage 4 Duraflex ST Base  Duraflex Blended nylon is specifically designed for cold temperatures - offering unsurpassed levels of strength and longevity. A new era for nylon plastic components. Force Highbacks  Duraflex Injected Multizone Force Highbacks are tapered towards the top, providing flex and tweakability where you want it, support and durability where you need it. 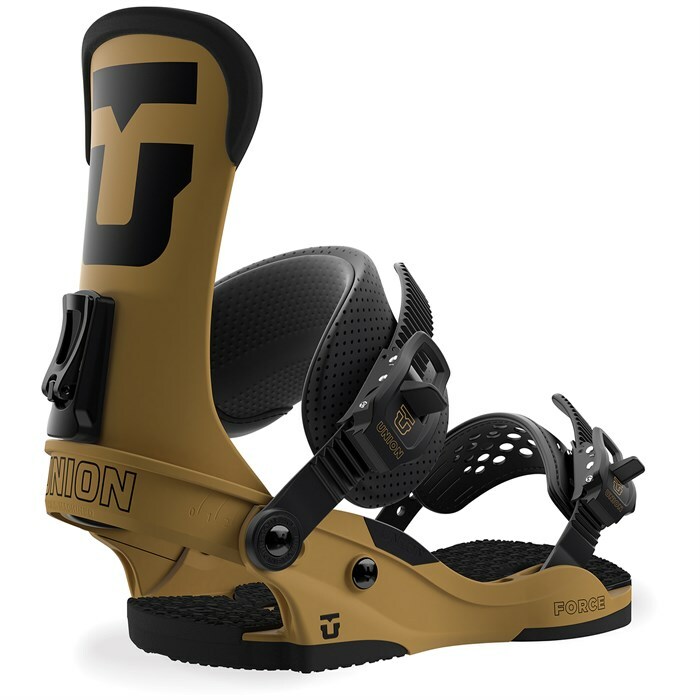 Classic Pro  A wider and more traditional design, the Classic Pro Ankle Strap compliments the Force model perfectly - a time honored legend of a snowboard binding. Forma Ankle Strap (Team White Colorway Only)  New and improved, the design of the Forma Ankle Strap produces strength and rapid response on the outside, fit and pillowed comfort on the inside. Ultragrip X Toe Straps (Team White Colorway Only)  Multi-positional options and thermoplastic anti-slip material keeps you locked in and on point. Each version has differing amounts of material based on weight. Magnesium  Union's proven bombproof ratchet system, Magnesium buckles are light, sleek, and durable on the mountain. Universal Disk  Compatible with 4x4, 4x2, and The Channel.